This book reveals numerous common mistakes students make in English grammar and vocabulary. Then, it will suggest corrections for these all mistakes to help students have a better understanding, avoid unexpected mistakes and achieve higher scores in academic exams. As the author of this book, I believe that this book will be an indispensable reference and trusted guide for all students who want to avoid unexpected mistakes and maximize their scores in academic exams. I guarantee that all the given mistakes, explanations and examples inside this book are practical, easy to follow and well written. 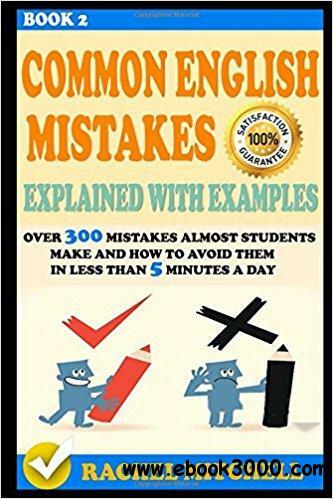 When you read and learn from this book, you will certainly know that it has been written by an experienced teacher, who has spent thousands of hours in a classroom, who understands IELTS students' needs and who is totally able to help them and definitely you are not an exception stay away from the most common mistakes in English.